We are Joe and Kaley Gunter. We are coming up on 11 years of marriage. Adoption has always been something we wanted to pursue but just never knew when we would pursue it. After three years of trying unsuccessfully to get pregnant we knew the Lord was calling us to begin pursuing adoption. We began our adoption journey with Love Basket, a smaller Christian adoption agency who later merged with Nightlight Christian Adoption Services in March 2015. This agency stood out to us at an adoption fair because of the high value and love they placed on the birthparents. We knew we would love to be able to have a relationship with the birthparents of our child if they were open to that, so the fact this agency counseled birthparents along the journey to make sure this was the right fit for them confirmed this was the agency the Lord was calling us to use. We started our paperwork and training in March 2015 and due to several reasons, some including the merge of agencies, knowing the Lord was calling us out of our ministry position in Louisville but not sure where He was leading, and then our move from Louisville KY to Magnolia MM (which required us finding an assisting agency to complete our home study in Mississippi) all of our paperwork was finally finished in February 2017 and we were ready to be matched. On March 2nd we received a call from our caseworker stating that she wanted to show our profile to a birth mom but the expenses would be more than expected due to birth mom being privately insured. We told her to show our profile because if the Lord saw fit for this to be our child then He would work the financial aspect out. Then we prayed, trusted, and waited. The following day we headed to Hattiesburg for a date day and got a phone call from our caseworker. We knew she would let us know either way the decision the birth mom made regarding us parenting her child. So when we saw our caseworke’s name on our phone so many emotions were flooding us. She informed us we had been chosen to parent a two day old baby girl and of all the states she could have been born in she was born in Kentucky, Louisville Kentucky at that. We will never forget the moment we first laid our eyes on our daughter. To experience a moment you have prayed so many years for was overwhelming. She was and is the most beautiful little girl we have ever seen. We immediately fell in love with her and felt a closeness to her. For four months our journey was fairly smoothly waiting to finalize, but then in July 2017 our story took a turn. Keeping details private, we spent 13 months waiting to finalize our daughter. This by far is the hardest journey we have ever endured, but I can say wholeheartedly I would not change our situation. Through this we learned in a way we never have to truly rely on Christ and lean on Him, even in the times we were in despair and shattered. We clung to the truth that her birth mom chose us to raise her daughter and that before the Lord created her, we were chosen to parent her. There are so many little details the Lord has orchestrated in our story. If I could sit down with you face-to-face, I would tell you all the ways God worked behind the scenes in the little details and how truly great His faithfulness and kindness is. All of the waiting was ordained, and we may never know the reasons our daughter’s story started the way it did. But we know the truth of this quote “Waiting time is not wasted time” The wait was long at times and there was questioning on how the Lord would provide financially for our unexpected journey to finalization and how long it would be until she was legally ours. But God truly showed up in all the hard. We learned the meaning of “all we have is Christ” when life makes no sense. A vital truth that will carry us on through this earthly life. God being who He is, showed up financially and the month after we finalized our daughter our adoption process was paid in full!!! We are so grateful for the generosity of others on our journey and the village of people God has surrounded us with. Adoption can be messy and hard at times, but it is also beautiful and worth it all. Working with birthparents and seeing the emotions they go through in making the decision to place their child for adoption is not an easy task. But it is necessary to support them through their adoption. One way to prepare yourself to support a birth parent is by educating yourself. There is a book for that! And this book has something for each member of the adoption triad. It is a raw look at the decisions that birthparents make and what could and will occur in the often difficult journey of life lived without the child that she gives birth to. If you are a Birthparent, I encourage you to read this book. If you ever wanted to feel validated in the emotion you have felt as a birthparent, you will find it in this book! Guilt, regret, joy, pride, envy, grief, letting go, hanging on, worthiness, self-love, and so on. “Women who are thinking about adoption should not base their ideas on propaganda: They deserve a reasonable description of its costs and benefits.” It is so important to educate yourself before entering into adoption. Keep learning to feel what your heart needs to feel in order to live life. Adoptive Parents should read this book. 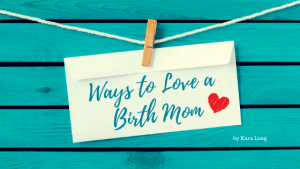 It will help you understand many different factors that birthparents must go through in order to help your family grow. Respect and communication are two factors that are imperative in adoption and the author reaffirms this. This book will help you understand that your child’s birth family will be very important to them. “If the hurt and frustration of infertility has not healed to some degree, it will be predictably difficult for adoptive parents to honor and appreciate the importance of the life giving role.” Learning to accept the things you cannot change, and living with what you have been given will play a huge role in your relationship with your birthparents. “…children are not confused by the involvement of birthparents (in their lives). To the contrary, open adoption kids are especially well-positioned to figure things out.” … and goes on to say … “And when children feel the unconditional love and affection of all the crucial contributors to their life stories, they are positioned to thrive.” It is crucial for adoptive families to understand this and believe it. Adoptees should read this book. It will help you understand the mind of a birthparent. “A question from his soul deserves an answer from hers, and she prays she can somehow find ways to explain her lonely experience, all the while knowing this is an experience for which there is no adequate language.” There is hope that understanding will be there. “Adopted children deserve a firsthand account of their birthparents’ rationale for adoption.” and goes on to say … “So many people are uncomfortable with the pain of adoption that adopted children often learn to deny their feelings of sadness.” I feel very strongly that every adoptee deserves the right to know where they came from. There should be no secrecy about who you are. I think this book is a wealth of information and could be beneficial to anyone who wants to learn more about a birthparent’s choice. In adoption, life keeps evolving, growing and shifting with each and every year. Mother’s Day can be an emotional time for women. Some women have lost their mothers while some have lost children, others are struggling with infertility, and some women have blessed others by way of adoption. I was a woman who, for many years, struggled on Mother’s Day due to the pain and loss experienced during my own infertility journey. Once I became a mother through adoption it was not lost on me that I had not come to motherhood on my own. I would forever share that day, willingly, with my children’s birthmothers. My husband and I set a tone in our household early on of honoring our children’s birthparents. They were not simply a means to an end for us. Our children’s birthmothers had won a place in our hearts that is precious and absolutely unexplainable. Children adopted through international adoption may never have the experience of knowing their birthmothers. Children adopted through domestic adoption may or may not have regular contact with their birthmothers. 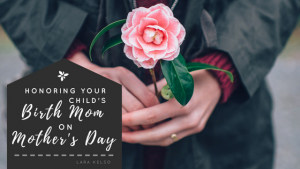 In either scenario, however, it is important for families to be able to honor their birthmothers, especially on Mother’s Day. One way to honor your child’s birthmother can be through the telling (and re-telling) of their adoption story. This narrative should be shared with our children more than once. I like to take time before we go to church on Mother’s Day to sit on the couch with my son and daughter and remind them of the moment their birthmothers shared them with me. I remind my daughter of the special moment that her birthmother was holding her in her arms, stroking her cheek, crying. How, in that instant, she kissed her gently and placed her in my arms and how I loved her birthmother so much that my heart ached. My son knows that, during our adoption hearing in court, his birthmother reached out for my hand and held it as my husband was on the stand. We were united as mothers in that moment, for him. Our children were loved and considered important, above all else. Make your own tradition. Follow your child’s lead. Some children may not want to talk about their placement or birthmother from one year to the next. That’s okay; however, revisit it the next year because as our children grow and develop, they do become more curious and open to discussion. It is so important that we allow our children the opportunity to love their birthmothers openly. I once told my kiddos “Just like I can love both of you at one time, you can love me and your birthmother at one time.” Make it okay. Make it intentional. I grew up knowing that my mom was placed for adoption when she was an infant in the late 1950s. My grandparents were unable to have children and worked with a private attorney to adopt my mom. We had little to no information about her birthmother, and what little we may have had, was probably speculation at best for the reasons surrounding her decision. Growing up, Mom never had a strong inclination to search for her birthmother. In my high school and college years, I remember asking questions about why she hadn’t looked for her because I had a strong desire to search and (let’s be honest) meet my biological grandmother one day. But my questions were always met with the same response that she simply wasn’t interested and she knew who her family was. She also wanted to respect my Grandmother and feared that searching for her birthmother would crush my Grandmother’s heart and cause her to feel like less of a mother in my Mom’s life. I deeply wish that my Grandmother would have understood that completing a search, and potentially meeting a birth family member, would have never diminished or replaced her role in my Mom’s life (or mine). After graduate school, I started working in the field of adoption. I was so amazed to see some of the advances that had been made towards sharing information in adoption – sending pictures, having visits, collecting genetic health information, etc. As levels of openness in adoption have increased in even the last decade, I have often pondered the circumstances surrounding my mom’s placement. Who was her birthmother and what circumstances did she find herself in that made adoption her best option? What became of her life and did she ever have more children? Do I have aunts and uncles out there? Equally as important, I desperately wanted her to know that she made a good choice for my Mom and that she has had a good life. And then, of course, I had other practical questions like, any chance you’ve had cancer or some other major hereditary disease we should be on the lookout for? The day eventually came that Mom felt comfortable starting the search process. She began by signing up on the State of Texas’s Central Adoption Registry. Many states have a website where birthmoms, adoptees and biological siblings can voluntarily register and if a match is found, the state facilitates contact (with a little bit of pre-meeting counseling for all parties). A short time later, Mom received a letter in the mail in response. This letter informed us that her records were matched with her birthmother’s and that her birthmother had passed away. The end. No name. No date of death. No identifying information that would tell us anything beyond the simple fact that she was no longer here (and my dreams of meeting her were crushed). 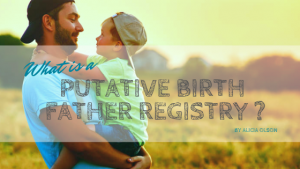 I had always pictured two outcomes from signing up on the registry – either being matched (with a living person) OR knowing nothing (because her birthmother or siblings had not signed up on the registry). It didn’t occur to me that we would be matched AND we would know nothing further. Our next step was to have a judge sign a court order to unseal Mom’s adoption records, which are maintained at the Bureau of Vital Statistics (BVS) in our state’s capital. I thought this process would be like climbing Mount Everest blind folded. 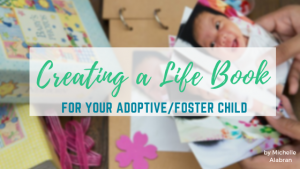 I shared our situation with a friend who is an adoption attorney and he had the right connections to make this happen quickly. He was able to do a little bit of research for us and within days a judge had signed off on an order! He mailed it to the BVS office and we waited for a response. And we waited a little longer. And, sadly, we are still waiting now. I know there are other methods we could use to continue the search. A simple Google search yields 11.2 million results for “searching for birth mother” with promises from companies to find birthparents in 3 easy steps. For our family, we are working through the channels and at the pace with which we are most comfortable. In my longings to have my questions answered, I have to remember that while this is my history, this is my Mom’s story. I don’t want to press and pursue beyond her comfort level. If you are thinking about searching for your biological parent or child that you placed for adoption, start with signing up on an adoption registry in the state where the child was born. While there is a small fee in some states to do this, these sites are legitimate and a simple way to be available in the event someone is searching for you too. The options for searching are growing. Court orders to unseal records may be granted or denied. And, if granted, they still may not yield the answers you’re looking for (as in our case). There are companies for hire and support groups alike ready to help you search. We have not engaged in this process so while I have no recommendations to make, I caution you to do your homework on these companies and understand any fee structures before engaging their services. Have some fun with your DNA. This past Christmas, we purchased a DNA kit from Ancestry.com and learned a little more about Mom’s ethnic heritage. It didn’t produce direct answers, but I was surprised by the excitement I felt at knowing a little more about where this side of my family comes from. Another company, MyHeritage is also involved with DNA testing, more specifically to assist in matching biological families. Currently, they are offering free DNA kits to those who apply and qualify through April 30, 2018. As stated above, I caution you to do some research here too. 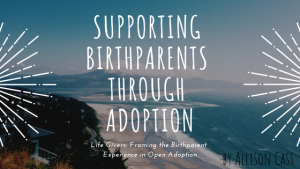 For those of you who may have an open adoption, I would implore you to do what you can to keep the lines of communication open with birth families. Relationships between birth and adoptive families can certainly be challenging to navigate and may change in their frequency over time. However, having direct access to a birth family member who can answer questions an adopted person may not have until decades later (or, ahem, perhaps even the adopted person’s child!) is an asset. Please know that I’m not encouraging you to maintain close contact if it puts a child in danger, or if someone is not making healthy choices. But, if the environment is healthy, do what you can to maintain this relationship. For those considering adoption, I encourage you to work with a licensed agency. If my grandparents had worked with an agency (which I realize were not as common then as they are now), I wonder if documents might have been on file with them. In our state, agencies today are required to maintain adoption records. In the event they close, there are policies and procedures in place for the transfer of these records. An adoption agency will be a much easier entity to contact if information is needed. Plus, they are also required to gather genetic health information from birth families, which is a valuable tool for you and your adopted child to have. Adoption agencies can also help you navigate through birthparent relationship challenges that may arise. Searching for birth family is a unique and personal journey. There is not a one-size-fits-all search process that works for everyone. 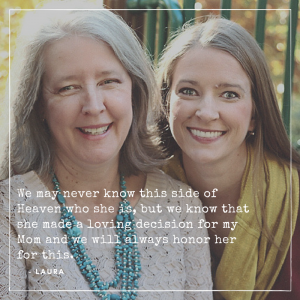 Our family has learned a lot about each other in this process and have grown closer as we have experienced both excitement and grief in searching for Mom’s birth mother. We may never know this side of Heaven who she is, but we know that she made a loving decision for my Mom and we will always honor her for this. Most people rarely consider our very life as a work of God. In fact, we rarely think about life at all (we’re born, grow up and die). Many folks sadly believe an unborn baby isn’t a human life. Atheist Richard Dawkins tweeted back in 2013 that an unborn baby is less human than a pig! [March 13, 2013]. God clearly instructs us that unborn babies are human at the time of conception. Are some people really more human than others? Of course not! God’s Word is clear: everyone, even unborn babies, are made in the image of God. That’s the message our culture needs to hear as America this month ponders the devastating effects of the 1973 Roe v Wade U.S. Supreme Court Decision which legalized abortion: the loss of over 55,000,000 human lives to abortion. Today join us in prayer and action to create a more life-affirming nation, promoting alternatives to abortion, and changing the culture that sees abortion as necessary. Ben, who is 28 years old and works in a large church ministry in SC, was adopted shortly after birth and learned of his adoption story from his parents when he was four years old. He has dealt with feelings of grief and loss. In addition he has had a desire to know more about his birth family. 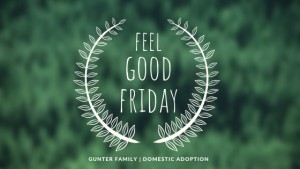 You may want hear how someone who grew up in a Christian family could have adoption-related issues. He will share what he believes you, as adoptive parents, can do to help your child have a more positive sense of self. If you have adopted internationally, you may also want to attend. Ben has suggestions as to what he believes parents can say and how they can respond to their children’s questions and desire to search for their birth families. This Adoption Support Group meets every 4th Monday of month at the Vine Community Church, Taylors, SC.